Oh to be in England, now that April's there... or April In Paris, April Fool or April Showers - whatever associations April has, I must say that 2012's incarnation has been pretty good fun so far and there's much to look forward to before the month's end. This week, I've been thoroughly enjoying myself recording a new Doctor Who story. However, it might be quite some time before the story is released and unfortunately, until Big Finish publish details and dates, I'm unable to say much more at the moment. What I can say, is that once again I felt greatly privileged to find myself working with such a distinguished cast and look forward to the time when all can be revealed! April is another month without a BF release for me to specifically talk about, although next month, there should be some interesting updates and artwork to look at with the release of the first box-set trilogy of Stargate SG-1 and my first Fourth Doctor story, Trail of The White Worm starring Tom Baker and Louise Jameson, both of which I'm really looking forward to hearing. 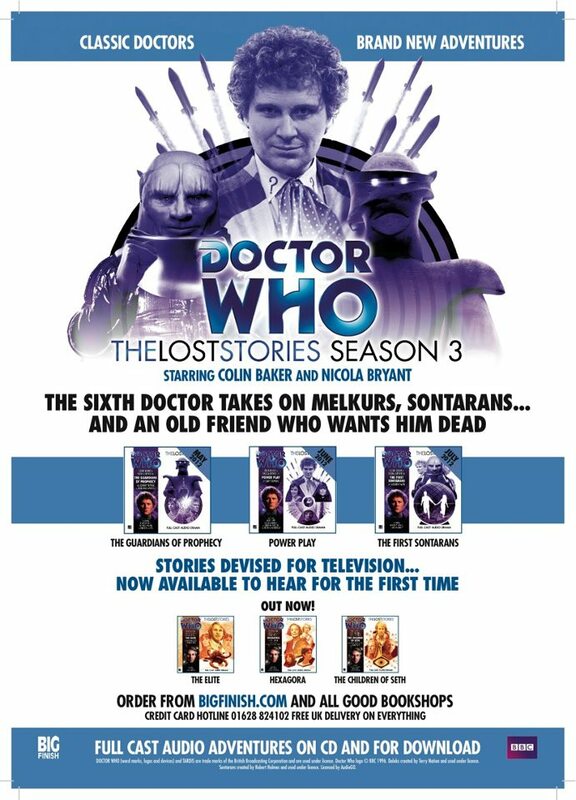 The First Sontarans, is scheduled for release in July. Sarah Sutton, Janet Fielding and Mark Strickson, the first of which is released this month. I'm in the third part of the trilogy, The Butcher of Brisbane scheduled for release in June. To round off this posting, I must just mention that during this week's recording, I was asked to voice introductions for two forthcoming Doctor Who stories, which will be used on the Big Finish web site. How amazing! I couldn't quite believe that I'd been afforded such a rare privilege - I won't say which stories they are; maybe you'll guess if or when you listen to the trailers. Quick update 25th April: Apparently one of the intros mentioned above had already been recorded, which meant that only one of mine was needed after all. So close! At least the 'chosen one' is now up on the Big Finish web site - but which one??? Just finished recording another audio-drama, full details of which will be revealed in a few months time. The story required quite a big company of actors and I had enormous fun working with friends old and new, something I'm looking forward to saying more about nearer the time of release. Another busy month and there'll be much more to talk about in May. PS: My original web site at actor-johnbanks.com will be taken down on April 30th. Sad to see it go in some ways, but it means that I can concentrate on maintaining this site, which has always been technically an easier task. Many thanks to all those who visited and supported the site over the last few years.